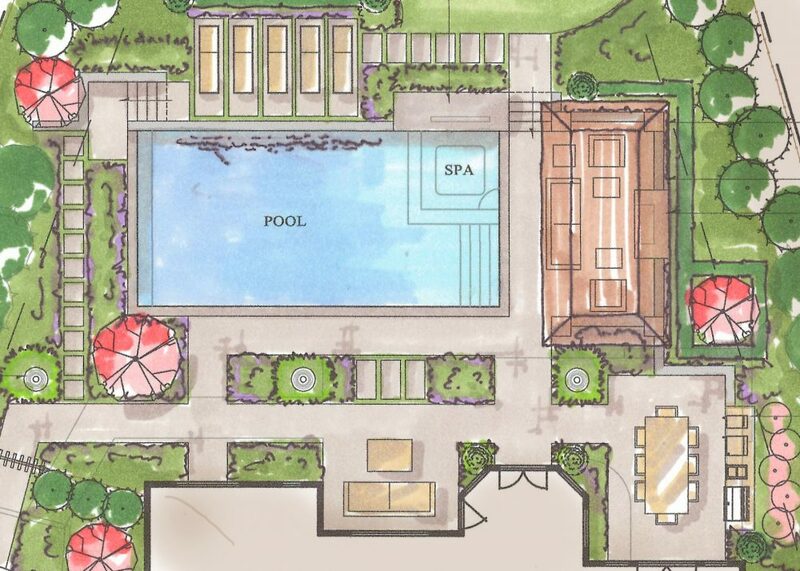 All of our beautiful completed projects begin with a thorough landscape design plan. As is true with most things, a well thought out plan of action is the best way to begin a new project. Whether working on a residential property, a commercial building, a hotel or venue, or even a cityscape, everything needs a proper landscape design plan. Whether for a personal home space or for a business, working out a proper landscape design plan from step one will help to eliminate wasted time and money. Working in this industry we find that many homeowners and business owners will struggle in the early stages with decisions. Creating a plan helps in the decision making process while fine tuning all the details. Having a landscape design plan helps the builders and landscapers and anyone involved understand the final product. It keeps everyone on the same page from day one through completion. When working on a landscape design plan, the home or business owner from day will understand the final product. Without a proper plan, expectations may be skewed and the final product should not be a let down. So, how do you acquire a proper landscape design plan? Hiring an experienced landscape architect is your best bet. There are many benefits when working with a landscape architect on a project. If you have never worked with a landscape architect on a landscape design plan before you may not be familiar with the process and how many stages are involved. When done correctly, an architect will survey the property for the new project. By understanding the lay of the land, it is easier to get it onto paper or into a software program to being the design process. There may be setbacks and regulations existing on your property that could be unknown to you, and a landscape architect will work with the town to work out any of these issues. It is a collaborative effort between designer and client to begin the design stage. Often times the design stage takes the longest. There may be many changes that arise during this stage, some sacrifices or additions to add or take away, all to ensure the most detailed and accurate landscape design plan is the finished product. Creating the most detailed and accurate landscape design plan will help to guarantee that it is built and maintained correctly. Working landscape architect will help create one will remove any margins for error. This is the time of year to start planning for 2017 goals. During the slower colder months, many designers and architects will have the time to take on new clients and start working on new landscape design plans. Feel free to reach out if you are interested in creating a new space for your home in the new year.